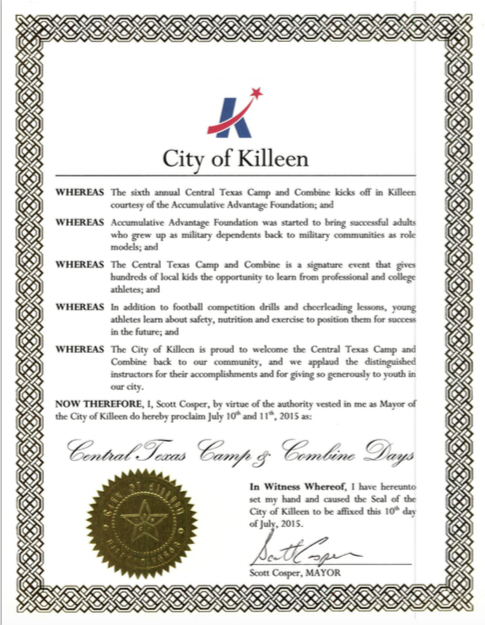 Killeen’s Mayor Scott Cosper came to the opening ceremony of the 6th Annual Camp & Combine to award the Accumulative Foundation with the prestigious proclamation for the efforts put forward by many for the last 6 years. 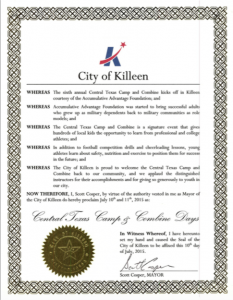 Our players, staff, and volunteers have worked so hard and are honored by the camp and the city’s stamp of recognition. 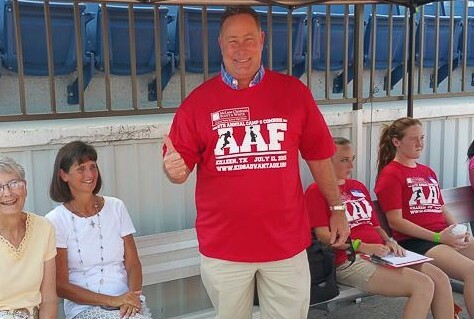 The always “laid back” Roy Miller celebrated with joy and was overwhelmed by the award. Roy explains his feelings for the proclamation, “This proves that together a community can do great things. I am so happy that our team is rewarded for their work! They deserve this! 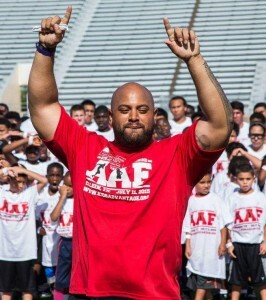 This camp officially goes down in the history books of Killeen that July 10th and 11th is ours!”. We are proud of this achievement and look forward to more milestones. Please join our efforts as we are always looking to build our team of successful role models and volunteers to improve our outreach to the community. Please email us at kidsadvantage@gmail.com with your skill sets that you think can help. We look forward to working with you!